Baltimore County government offices will be closed on Monday, December 26 in observance of the Christmas Day holiday, including Health Department clinics, Circuit and District Courts, senior centers, drop-off centers and the landfill, and CountyRide vans will not operate. The same schedule is in place for Monday, January 2 in observance of the New Year’s Day holiday. See below for details on library hours, and trash and recycling collection and facilities schedules during the holiday weekends. All branches of the Baltimore County Public Library will be open on Monday, December 26, but will be closed on December 24 and 25 for Christmas Eve and Christmas Day. Library branches will be open regular Saturday hours on New Year’s Eve, will be closed on Sunday, January 1 and will be open regular hours on Monday, January 2. There will be no trash or recycling collections on Monday, December 26, or on January 2. There will be regular hours and collections on Christmas Eve and New Year’s Eve. Baltimore County residents whose trash would normally have been collected on Monday, December 26 should set it out on Monday night to be collected on Tuesday, December 27. 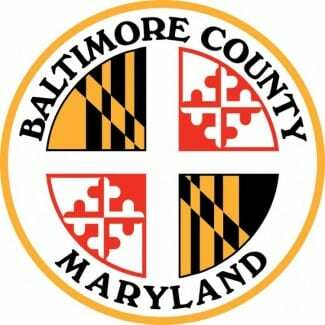 Baltimore County residents whose trash would normally have been collected on Monday, January 2 should set it out on Monday night to be collected on Tuesday, January 3. Residents whose single stream recycling collection normally would have occurred on December 26 and January 2 are asked to hold those recyclables until the next scheduled day for those items, Monday, January 9, or take them to one of the County’s three drop-off centers. All trash and recycling drop-off facilities (including the Eastern Sanitary Landfill) and County offices will be closed on Monday, December 26 and Monday, January 2. Drop-off facilities will be open with normal operating hours on Saturday, December 24 (Christmas Eve) and Saturday, December 31 (New Year’s Eve). Residents can visit the Bureau of Solid Waste Management website or call 410-887-2000 for more information about recycling and trash collection, including drop-off center locations and hours.